Overview: The Mixe are an indigenous group inhabiting the eastern highlands of the Mexican state of Oaxaca. 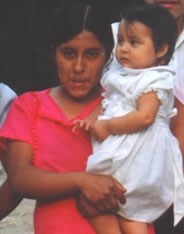 They speak a variety of languages classified as Mixe-Zoque and are more culturally conservative than other indigenous groups in the region, maintaining use of their original languages to this day. Mixe religion is largely a blend of Roman Catholicism with traditional religious practices.